We use PGP encoding as protocol for sending and receiving messages this is the latest pgp protocol available and have the benefits that encrypt also email attachments, the old BB7 systems send attachments unencrypted so any sensitive data can be read by a third party. 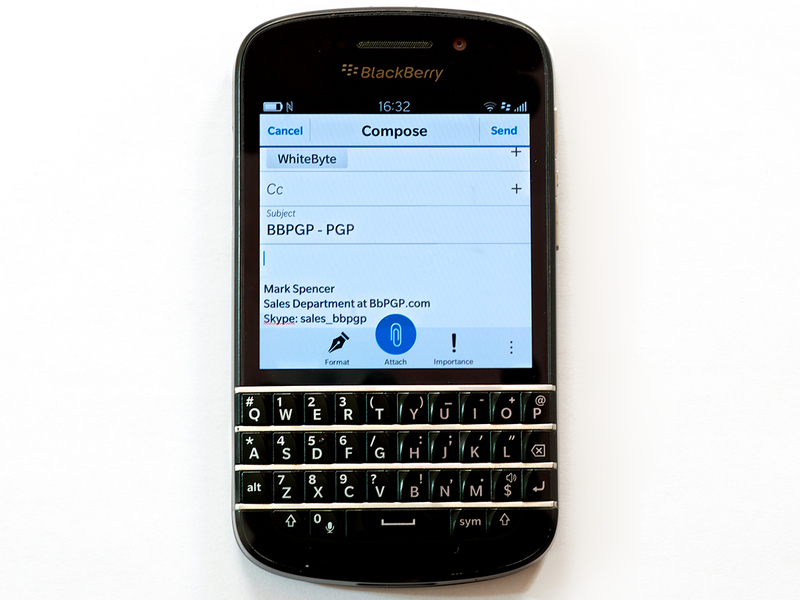 The Blackberry PGP email encryption devices are the most familiar way to communicate safely. This Blackberry PGP cryptofoons have been specially developed to communicate without the risk that the information sent by a third party, such as a government agency is intercepted safe. The Blackberry PGP encrypts the information namely in such a way that even if this information is intercepted is nothing to do here. 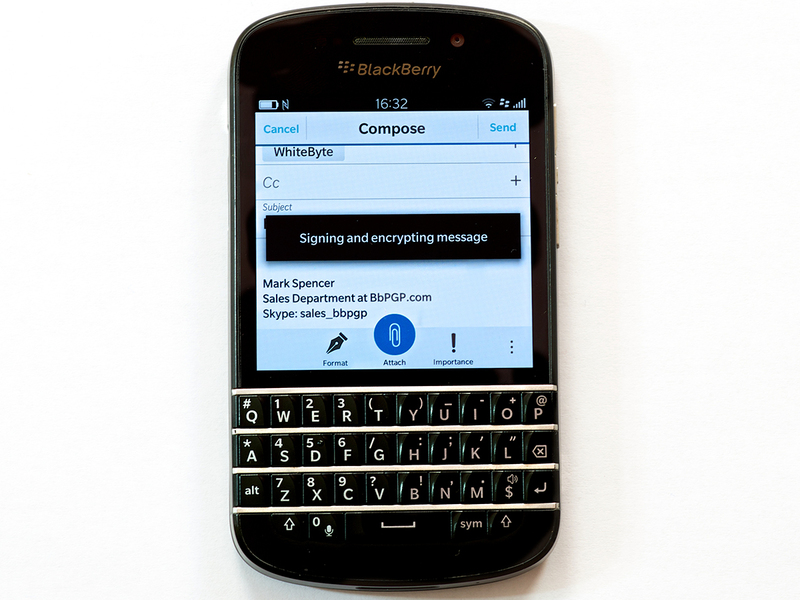 How does the Blackberry PGP Email Encryption? The Blackberry mobile phones PGP is only possible to communicate with another open PGP Blackberry phone. In fact, the microphone of the Blackberry have been disabled and normal calls therefore not possible. Is communicating with Blackberry PGP safe? PGP is a proven and secure encryption method that allows users a high encryption standard in their hands at e-mail accounts of the Blackberry via BES servers. It is a very user friendly system, and you can communicate with all other PGP Blackberry companies that have applied to other domains. Open their servers The standard encryption we use our PGP platform is RSA 4096 bits with AES 256. On the BB10, the handheld generate the keys by it self . AES 256 BIT , 4096 RSA. We use PGP keys of 4096 bits and AES-2 256 bits. Also everything is encrypted one more time by our private vpn channel over the air, so even unsecured communication become secure, encrypted by our VPN using AES-2 256bit key. If you need, we can supply anonymous sim card with email data plan that can be used in all EU Country, compatible with our Blackberry PGP Encrypted Phones, and any other Blackberry phone running OS 10. All BB10 terminals work in our network once they are registered and licensed by us. If you have a BB10 terminal we can register it for you and you benefit of the full encryption of the terminal and a secure communication channel with PGP encryption. You can communicate with the old BB7 terminals. It is possible to remotely swipe all the information from your BlackBerry,and all the data is permanently deleted.You can also chose a automated swipe,so if a user is not log in on the phone for a given period of time,the phone will be automatic erased. Copyright © 2015 BlackBerry® , RIM® , Research In Motion® , SureType® , SurePress ™ and all trademarks, names and logos are the property of Research In Motion Limited and are registered and / or used in the US and countries around the world . Used under license from Research In Motion Limited.